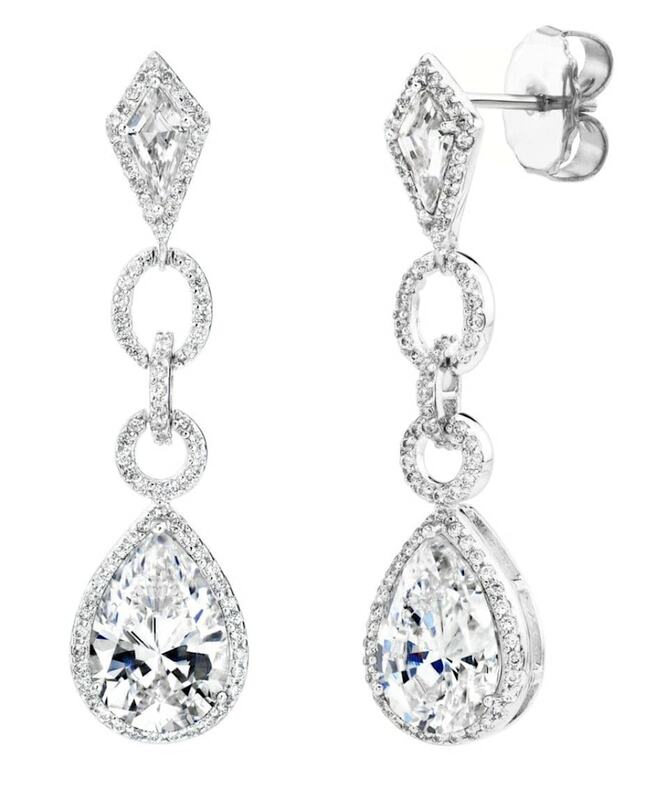 Striking teardrops marry modernity with a classic element through the exquisite juxtaposition of the teardrop and diamond shapes. Earrings were featured in the magazine Time Out New York. Each center drop stone is approximately 4 carats. Earrings hang approximately 2 inches long, and are pierced. Earrings feature a wider disc backing to ensure they stay upright on the ears and sit beautifully. Earrings are a very comfortable weight. Please view additional model image for size scale. Earrings may be converted to clips. Please contact the Gallery at 520-615-3001 to inquire about this custom service. Earrings will come packaged in a beautiful organza bag with enclosure card, inside of a silver gift box with satin lining and bow.